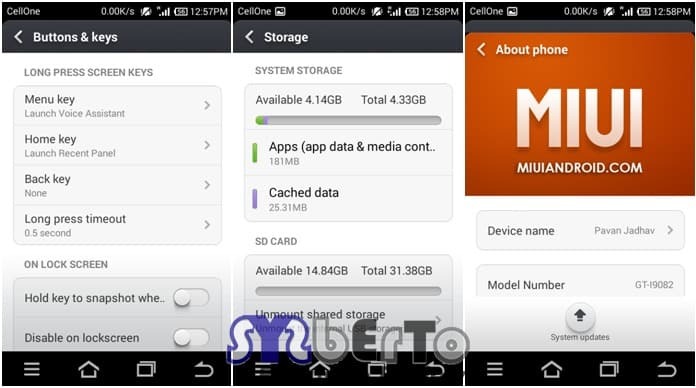 Wait is over to get hands on MIUI ROM for Samsung Galaxy Grand DUOS (GT-I9082/L). 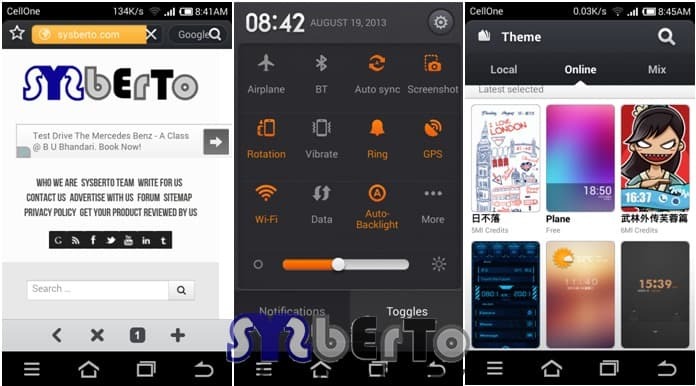 With the Starting of Gennxt Rom made by Baldeep Singh now XDA Developer “Aditya Fattepurkar” had managed to release superb MIUI ROM where MIUI based on CyanogenMod 10.1 and Android v 4.1.2 JB. Here, MIUI is pronounced as “My UI” or “Me You I“. MIUI have its own beauty with awesome graphics and smooth performance. We have already reviewed MIUI on our Galaxy Grand Device and also the short video review too made as per follows. We have got many new features and also few bugs but they will be soon fixed by dev. 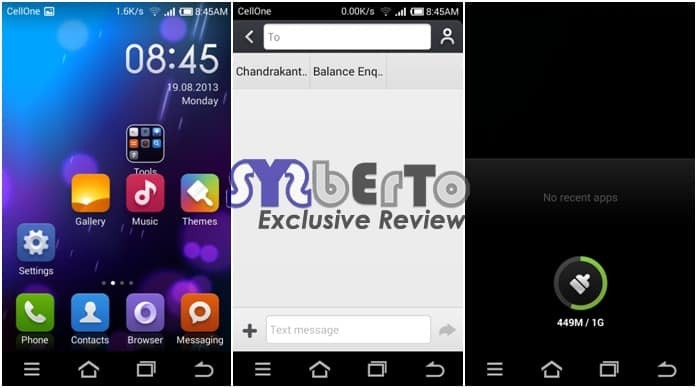 So, let us take a look at features of MIUI ROM made for galaxy grand. Also you get layout options to change the look of your notification pulldown toggles. This MIUI rom has good battery backup with great performance whenever you use your phone. 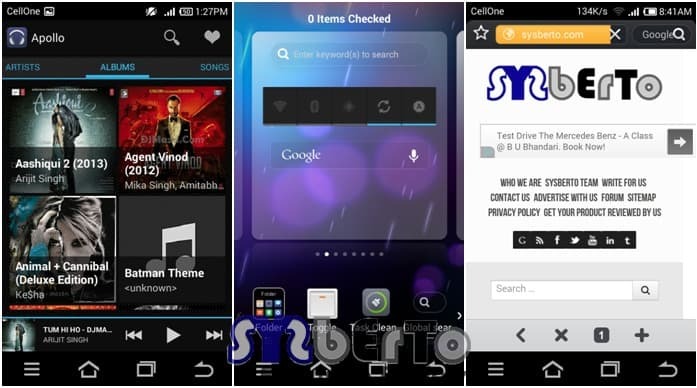 Download this Gapps package too if you want play store and other google apps on your phone. Downgrade to 4.1.2 by flashing PDA File of 4.1.2 samsung stock firmware with the help of Odin if you are using 4.2.2 firmware/rom. Flash ClockworkMod Recovery on the device after flashing 4.1.2 Stock Fw. Reboot your device and you are ready to boot MIUI on your Galaxy Grand. Overall after reviewing and trying it thoroughly, we really liked the MIUI ROM as it consists of different new features, apps and many more things. Even if there are few bugs in MIUI rom but it still rocks with its different feature set from others. Give thanks to Developer here as this will help him to build more cool things for your galaxy grand and and also you may find more info on ROM too.